Satisfied with whatever available at present. I believe that everything will be done in near future to serve us better. It is good to see her concentrate on Classical music shifting away from Filmy music after “Geet Gaya Pattaron ne”. One way we are all lucky to have her on the classical track of the Indian Classical Music. I wish her success in all her endeavours. Kishoriji Amolkar is one of the gems of of our country,a very gifted singer who has enriched our lives so much over decades with her divine music.May shri Krishna give her a very long,healthy and active life. Reblogged this on Rajeshgour's Blog. 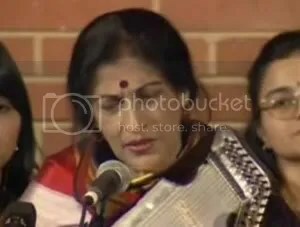 While listening to Vidushi Kishori Amonkar’s ‘Ud Ja Re Kaaga’ based on raga Bhinna Shadja, I find the raga similar to Kaushikdhwani. Are both the ragas same? Subhasis. (ghatak_s@in.com).